Advocate staff photo by JOHN McCUSKER -- Fats Domino relaxes at his home in Harvey in 2013. Fats Domino looks at the progress of the rebuilding of his home in the Lower Ninth Ward of New Orleans in this March 9, 2007. From left, Fats Domino, Dr. John and Dave Bartholomew at a New Orleans Film Festival screening of "The Big Beat: Fats Domino and the Birth of Rock 'n' Roll" at the Carver Theater on Oct. 23, 2014. Fats Domino performs at Tipitina's in New Orleans in May 2007. 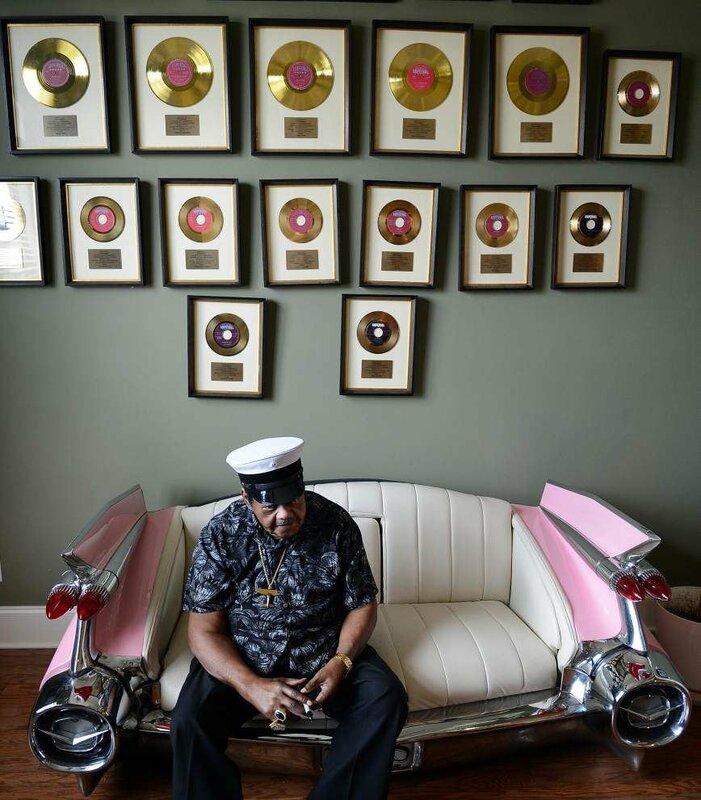 Advocate file photo by JOHN McCUSKER -- Fats Domino sits on his custom sofa at his home in Harvey in 2013. Fats Domino at the piano in a vintage publicity photo. How do you secure Fats Domino’s blessing for your documentary? If you’re filmmaker Joe Lauro, you ply him with rare footage of the boogie-woogie piano players he idolized. Domino even rechristened him “Video Joe” — and agreed to cooperate with his documentary. 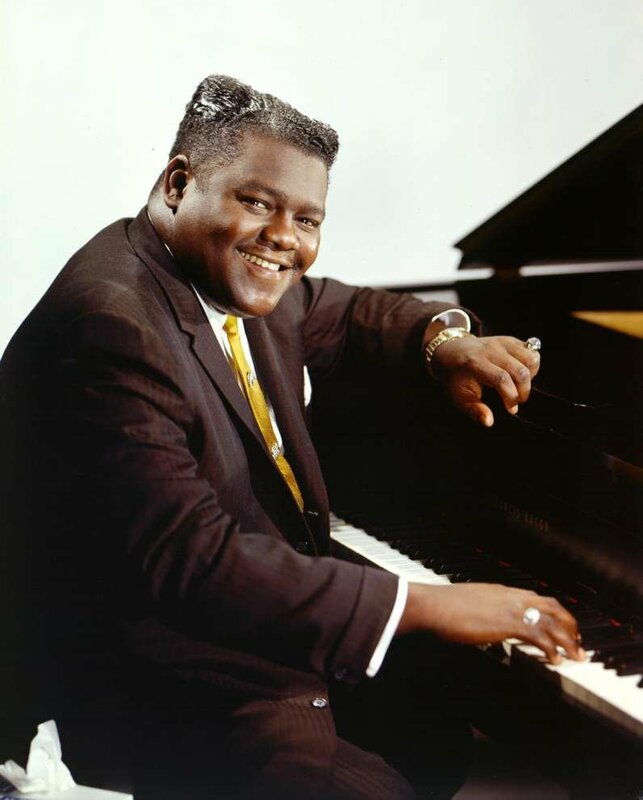 The result, “The Big Beat: Fats Domino and the Birth of Rock ’n’ Roll,” makes its broadcast debut on Friday — Domino’s 88th birthday — via PBS’s “American Masters” series. It airs locally on WYES at 9 p.m. Shanachie Entertainment has also released a DVD with the hour-long PBS version and a 90-minute director’s cut. Because Domino didn’t generate tabloid headlines, he is not nearly as well known as many contemporaries. “Unlike Jerry Lee Lewis, Little Richard and Chuck Berry, he led a life not full of public drama,” Lauro said. “There was tragedy in Fats’ life and trouble that he got into. But he was never one to talk about it or exploit it. He was so much more private about it. Domino’s longtime friend Haydee Ellis introduced him to Lauro. Convinced that Domino deserved a documentary, Lauro still didn’t know if he had enough compelling performance footage. Domino, like other black rock ’n’ rollers of the 1950s, was not often filmed in his heyday. Then, a friend of Lauro’s who works for Shanachie came across footage of a complete Domino concert at the 1962 Antibes Jazz Festival in France. For “The Big Beat,” Lauro interviewed Dave Bartholomew, the New Orleans trumpeter and bandleader, now in his 90s, who produced and co-wrote the majority of Domino’s hits. Naturalized New Orleans keyboardist Jon Cleary, who won his first Grammy Award earlier this month, serves as a guide to technical aspects of the Domino sound. Longtime Domino saxophonist Herb Hardesty also shares his recollections. “The Big Beat: Fats Domino and the Birth of Rock ’n’ Roll” premiered during the 2014 New Orleans Film Festival. Much to Lauro’s surprise, Domino turned up for the Oct. 23, 2014, screening at the Carver Theater in Treme, sitting alongside Dr. John and Bartholomew. It was, to date, one of Domino’s last public appearances. Lauro hopes his film helps make up for some of Domino’s reluctance to publicize himself. Outside of New Orleans, “nobody really knew much about the man,” Lauro said. “The story is just so fascinating, and so tied into the culture of New Orleans.